The Consumer Electronics Show 2016 in Las Vegas provided a glimpse of new technology and innovation to come during the rest of the year. There was more evolution than revolution to this year’s event, with many companies launching “me-too” or upgraded versions of existing products rather than breakthrough concepts, according to Ovum director research & analysis, media & entertainment, Rob Gallagher. “It’s a welcome sign of maturity for many new categories, which have suffered from poor design and misguided concepts in the past," he said, in a statement. "But that doesn’t mean that companies at the show weren’t willing to talk about the bigger, longer-term trends that will reshape the consumer landscape." Established and emerging Chinese vendors demonstrated their determination to try to dominate the market for the world’s most important consumer electronics product, the smartphone. After launching devices in the rest of Asia Pacific and parts of Europe last year, they are now expected to make a significant push in the very competitive US market. Chinese entertainment company LeTV made a big splash at CES by launching Le Max Pro, the first smartphone with Qualcomm’s latest Snapdragon 820 processor and ultrasonic-based fingerprint technology. LeTV, which only started to sell smartphones in China in 2015, has become the most innovative smartphone vendor at CES. This paves the way for an expected US launch in 1Q16. The company is already selling 4K smart TVs in the US by invitation only. Huawei launched a phablet designed for the European market. Priced from €600 ($653), the Mate 8 is a dual-SIM 4G handset featuring a 6-inch display, an in-house-developed Kirin octa-core processor; and a 16MP camera sensor. Huawei also unveiled impressive results from its smartphone business: It sold 108 million smartphones in 2015 (+44 per cent YoY) generating $20bn in revenue (+70 per cent YoY). There are three camps in the smartwatch market: Products focusing exclusively on activity tracking and sports/fitness; multipurpose watches offering a wider variety of features and apps; and premium or luxury watches where notifications and activity tracking are provided as discrete add-ons. The customer segment each type of watch targets is relatively distinct. Fitbit and Withings launched advanced versions of their activity trackers to address competition from multipurpose smart watches from Apple, Samsung, and Huawei. Besides focusing almost entirely on activity tracking, as opposed to notifications and apps, battery life was also featured as a key differentiator. For example, Withings Go watch battery lasts up to eight months. Smart-watch makers are expanding to new categories to try and sustain sales growth in a market that still remains niche (i.e. less than 10 per cent adoption). Samsung and Huawei launched new versions of their latest smart-watch models, featuring more precious materials and premium designs. Many tablet models based on Windows 10 were launched at CES, including offerings from Dell, HP, Lenovo, and Samsung, mainly targeted at business users. The Samsung TabPro S was the most surprising announcement and is well positioned to compete with Microsoft’s Surface Pro 4 and Apple’s iPad Pro throughout 2016. Global tablet sales declined overall in 2015 but sales in the two-in-one segment increased, and many of the tablets launched at CES 2016 are two-in-one devices. Microsoft also released some numbers on Windows 10 adoption: There are 200 million monthly active Windows 10 devices, of which 40 per cent have been activated since November 25 (Black Friday). This corresponds to 11 billion hours of usage, including 44.5 billion minutes on Microsoft Edge, 2.5 billion questions asked to Cortana, 82 billion photos viewed via the photo app, and 4 billion hours of PC game play. The data shows that Windows 10 is performing relatively well compared with the two previous versions of Windows, which shows that Microsoft is moving in the right direction. Nevertheless, Windows 10 adoption on mobile handsets is still very limited, with only Alcatel and Acer announcing new products at CES. 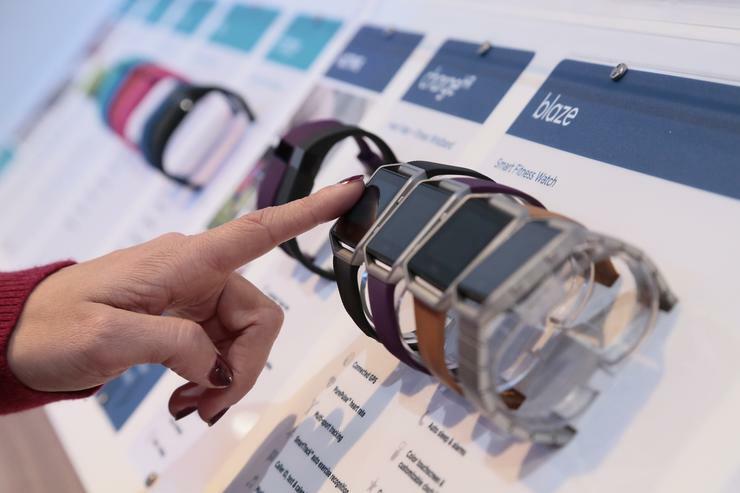 The ongoing “consumerization” of business technology means CES has become an important show for vendors to the enterprise market. Lest employers forget, employees are consumers too, and many are increasingly choosing to bring their own smartphones, tablets, and laptops to work. The Apple MacBook Air, Microsoft Surface Pro, and Dell XPS 13 are just three examples of computers favored by “the Technorati,” but what about the rest of us? Well, it appears that Dell has finally realized that looks do matter, because the company used CES to announce an expanded line-up of commercial devices, most of which offered enhanced design aesthetics to complement the security, manageability, and reliability features that are generally of prime interest to IT purchasing managers. In 2015, Microsoft partnered with Dell (and HP) to sell and support the Microsoft Surface Pro 3 in the North American corporate market, but, with its new Latitude 12 7000, Dell believes it can offer a sexier, lighter, and more feature-loaded tablet than Microsoft’s Surface. Dell also claims that the Latitude 13 7000 Series Ultrabook is the world’s smallest 13-inch business-class PC, and that by using space-age materials, such carbon fiber, the computer can endure the rigor of heavy business use while maintaining an attractive allure. LG, Samsung, and Sony brought down 4K entry-level prices by bringing the technology to their low-tier product lines. High Dynamic Range (HDR) took center stage at CES with all major TV manufacturers now featuring HDR on all 4K TV models including Chinese vendors such as HiSense and TCL. The UHD Alliance, a trade association of over 35 companies that includes Dolby, LG, Netflix, Panasonic, and Samsung, agreed on a new standard and logo to capture HDR capability called Ultra High Definition Premium. UHD and HDR standardization will have a significant impact on 4K TV adoption as non-HDR capable TVs will not be compatible with most 4K set-top boxes and pay-TV services. In addition, HDR significantly enhances the 4K experience, driving consumers’ purchase intention. For the top TV manufacturers, 4K TV sales already generate more than 20% of their revenue. This percentage is set to increase rapidly as 4K is cascaded down to other models throughout 2016. Various companies offered solutions to one of the biggest problems facing modern TV – too much choice. CES 2016 saw many new developments aimed at helping viewers to search and discover TV shows, movies, and other content spread across pay TV, broadcaster catch-up services, and OTT apps such as Netflix. Time Warner Cable’s app integration on LG Web OS 3.0 and Roku OS 7, along with Dish’s new set-top box, the Hopper 4, were among the best demos at CES. Many car manufacturers spoke about a new future for themselves, as “mobility companies.” A fundamental part of this change – and without doubt the connected-car super-theme of CES 2016 – was autonomous vehicles. Autonomy was the focal point of every major auto OEM’s press conference, from the mass-market brands of Ford, Toyota, and Kia to the luxury brands of Audi and Mercedes. What is the connection between autonomy and mobility? Autonomous vehicles have the potential to democratize personal transportation, using both privately owned and shared vehicles, to a new degree: To those that are too young or too old to own a driving license. Industry support for applications that mirror smartphone screens on car head units was strengthened as Ford, Chrysler, and Mercedes all launched connected services with Android Auto and Apple CarPlay integration – Ford sync 3, U-Connect V4, and the as-yet unnamed new Mercedes head unit, respectively. No additional manufacturers announced products with support for MirrorLink, the open source alternative to Android Auto and CarPlay – Volkswagen remains the only one with commercially available units. No question remains as to the role of smartphone screen mirroring. Although all indications are that in five years’ time even the most affordable, mass-market vehicles will be manufactured with dedicated modems, drivers will still be bringing their own mobile devices into vehicles – and will need to use them safely. While virtual reality was once again a big draw for CES attendees, with lines stretching all around the outside of the Oculus booth, a slightly less heralded – but no less intriguing trend – is the move to integrate computer vision with connected devices. One key example was ThingWorx, which was at the AT&T Developer Summit the day before CES, showing off how it has integrated the Vuforia augmented reality platform into connected devices such as bikes, giving real-time data on function and positioning, among other information. Retail is another area where virtual reality and IoT is expected to converge, with connected VR or AR devices enabling on-the-spot purchases – MasterCard’s Worldwide CMO predicts that this vision could become a reality within 5–7 years. The biggest announcement at CES was not about consumer electronics per se, but about content and the Cloud. But Netflix’s decision to make its service available in a further 130 countries, taking the total to 190, will have a significant impact on device sales. Netflix has proved to be a “hero” service for subscription-based video-on-demand (SVOD), stimulating adoption and competition almost everywhere it has launched. These benefits have flowed to consumer electronics manufacturers as well, as consumers have bought devices to enjoy the service on new screens. LG showed how device manufacturers can capitalize on Netflix’s success more directly. The South Korean company said it will work with Netflix to offer prepaid access to the streaming video service, which could help attract new subscribers, particularly in emerging markets where credit and debit card penetration is low. A less-reported, but important development was LG’s move to add access to 50 streaming channels from brands including Buzzfeed, GQ, Wired, and Vogue to several of its new smart TVs. Expect more device vendors to promote digital video services from leading publishing brands as they continue to capture viewers’ attention.